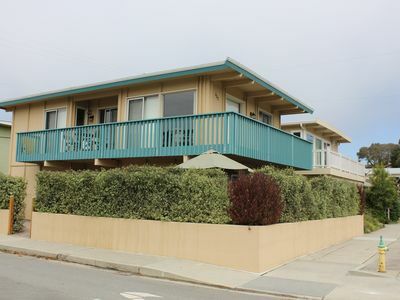 East Cliff Beach Retreat - Ocean Views! GREAT SPOT! IN THE ACTION! FOR LESS! 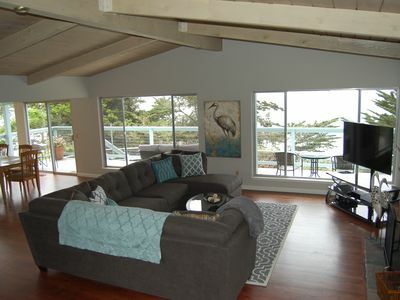 2700 sf home on 30th Ave, one home off beautiful East Cliff Dr. at the famous Pleasure Point with ocean views! Half block to World Class Pleasure Pt. 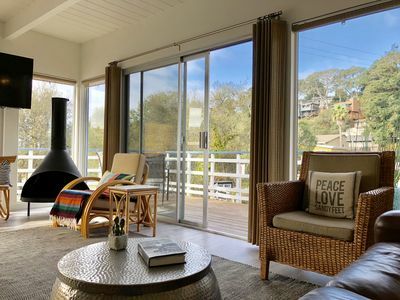 Surfing with beach access to your left, and a very short walk on paved trail, through the trees at lake side to the expansive Moran State Beach to your right. This beach offers well kept public bathrooms for your convenience! 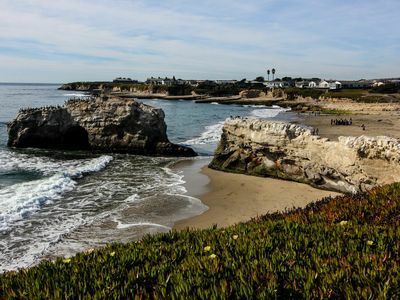 Enjoy a stroll or bike to Capitola and pier along newly developed waterfront bike path right across the street, a very popular gathering area for beach goers and surf spectators. 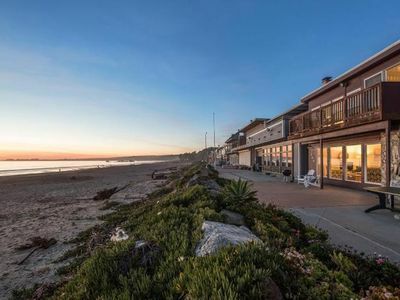 Grab a coffee or sandwich around the corner at the Pleasure Point Café - Coffee Shop. 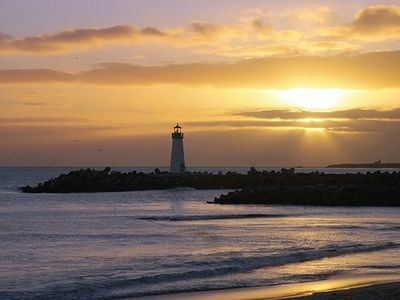 1/2 mile to S. C. Yacht Harbor & Twin Lakes State Beach. 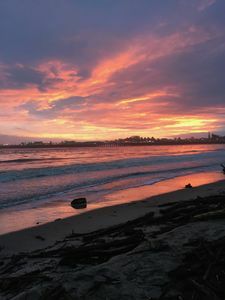 4 miles to the Santa Cruz Boardwalk. 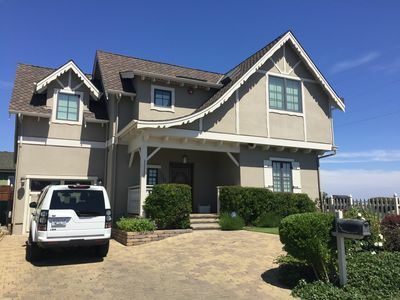 Wonderful, spacious, sunny 2-story home with reverse floor plan boasts vaulted ceilings, numerous skylights, windows and sliding glass doors onto wrap around deck, patio furniture, gas BBQ for entertainment or relaxation on second level right off the kitchen, dining, living areas, and master suite. 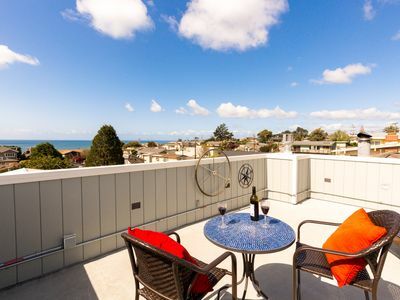 Crow’s nest deck above for private bathing and more ocean viewing, and large patio and grass area with enclosed yard for children on the main entry level. 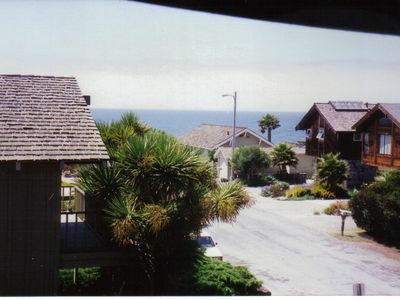 Views of the ocean from main second level and above. 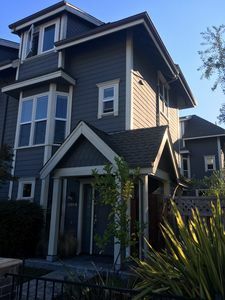 The 2 Dining areas, large fully equipped gourmet kitchen with stainless steel appliances, dishwasher, micro, coffee machine, blender, built in toaster, and island/bars, and Living room- all open to each other. TV/DVD and stereo in Living Room. 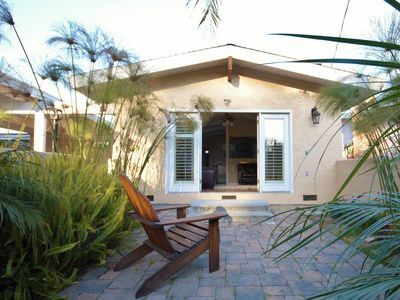 The large Master suite with King Bed is located upstairs offers partial ocean view, adjoining private bath, and Flat Screen TV/DVD. Downstairs offers two very large bedrooms w/ King Beds & TV, shared bath and a half bath, and an oversized laundry room with washer/dryer. 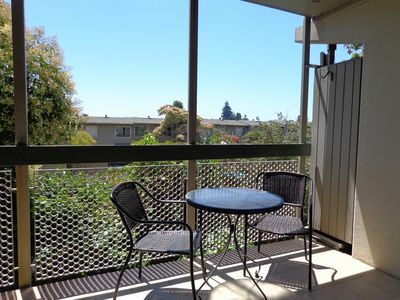 1 of the bedrooms downstairs has it’s own additional private entry to patio. Also offered for sleeping is a thick set of sleeping pads that can be used for 2 more in any area of your choice, comfortably sleeping 8. Children may sleep with parents in a King Bed. 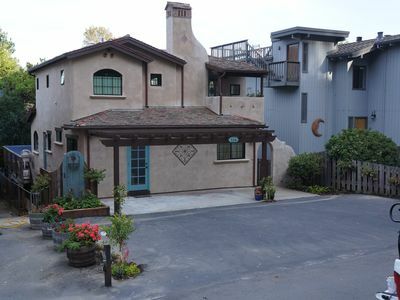 Room for 2 cars off street parking in driveway (depending on size may fit more), a huge plus for this popular area. 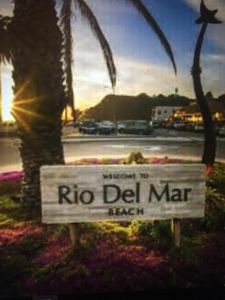 The two beach areas offer world class surfing, boogie boarding, body surfing, skim boarding and swimming, or just enjoy watching the surfers, numerous sail boats, seals on the rock, otters, dolphins, pelicans and ocean activity. 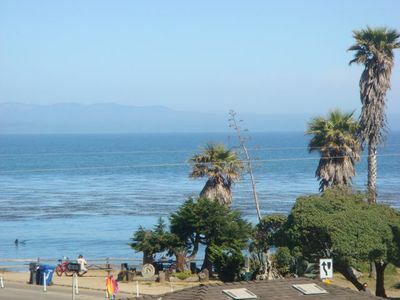 Plenty of quality restaurants on the beach and night life nearby at the Yacht Harbor/Twin Lakes Beach or Capitola. Kayaks, beach rentals and volleyball at Harbor Beach along with beach side BBQs and music for a change up in your relaxing vacation. 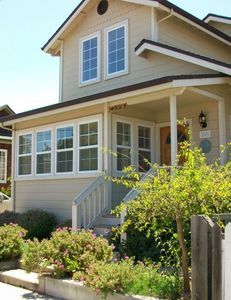 The well appointed home has a truly bright, comfortable, warm feeling to it. 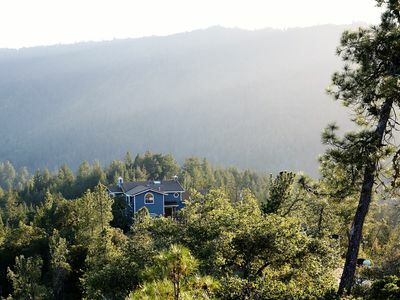 A great home and location for gathering together for your vacation. Peaceful and relaxing, yet close to all the excitement without the noise! 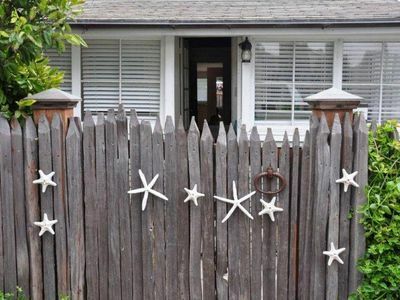 Hear the ocean from this historic cottage. 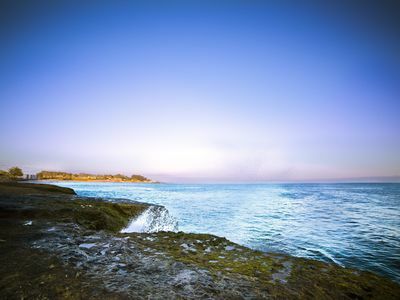 Almost beachfront. 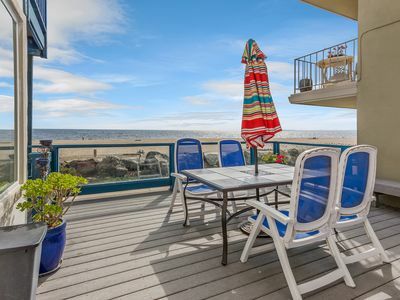 Charming Beach House Right on the Sand! Every Room is Ocean View!